It is simplistic to blame Belgium for Europe’s vulnerability to terrorism. The NSA, CIA, and FBI were alerted before the 9/11 attacks, but the terrorists slipped through their fingers, writes Sir Micheal Leigh. Sir Michael Leigh is a Senior Fellow with German Marshall Fund of the United States, and former Director-General for Enlargement at the European Commission. He published this op-ed originally on the GMFwebsite. Belgium has received intense criticism following the deadly Brussels airport and metro attacks on 22 March that left 32 people dead and many more wounded. Commentators have labelled Belgium a “dysfunctional divided country,” “an incubator of terror,” and “a country that operates on the basis of “linguistic apartheid.” Some have even likened Belgium to Syria and Iraq as failed states. But it is simplistic to blame Belgium for Europe’s vulnerability to terrorism. Every major security failure from Pearl Harbor to 9/11 and the Paris attacks last November has been followed by revelations of warnings that were ignored and of raw intelligence that was not evaluated in a timely and effective manner. The NSA, CIA, and FBI were alerted before the 9/11 attacks but the terrorists slipped through their fingers. The 9/11 Commission report showed that the different jurisdictions of law enforcement authorities in New York City and across the US made coordination difficult. In 1984, when the IRA bombed the British Conservative Party conference, the Prime Minister Margaret Thatcher narrowly escaped with her life, despite tip offs. Belgian leaders acknowledge the shortcomings that preceded the Brussels attacks. Two ministers offered their resignations, and the government rushed through overdue legislation to permit round-the-clock house searches, limit arms sales, and create a single counterterrorism database. There have been calls to increase resources for social inclusion and counter-radicalization programs in the Brussels municipality of Molenbeek and other deprived areas. The French Urban Affairs Minister, Patrick Kanner, has acknowledged that France has around 100 municipalities with potential similarities to Molenbeek. In France, these are mostly isolated suburban neighborhoods where amenities are inadequate and violence is widespread. In Belgium, immigrant-based communities live in the cities themselves and many members of Belgian regional parliaments have immigrant backgrounds. Just the same, poorer municipalities in Brussels, like Molenbeek, need better playgrounds, schools, youth clubs and other social facilities; local communities must play their part in ensuring that such facilities are maintained. Additional resources are needed both to give the Muslim population a stake in Belgian society and to ensure more effective policing. Besides its immigrants, Brussels hosts a large international presence, including the EU, NATO, three diplomatic communities, and some 2,000 international bodies, as well as thousands of ex-pats. Many of these bodies are tax exempt and commuters pay tax in the areas outside Brussels where they live. Despite Belgium’s multi-level system of governance, the country does better than many European states in rankings of the quality of justice, income equality, and perceptions of corruption. 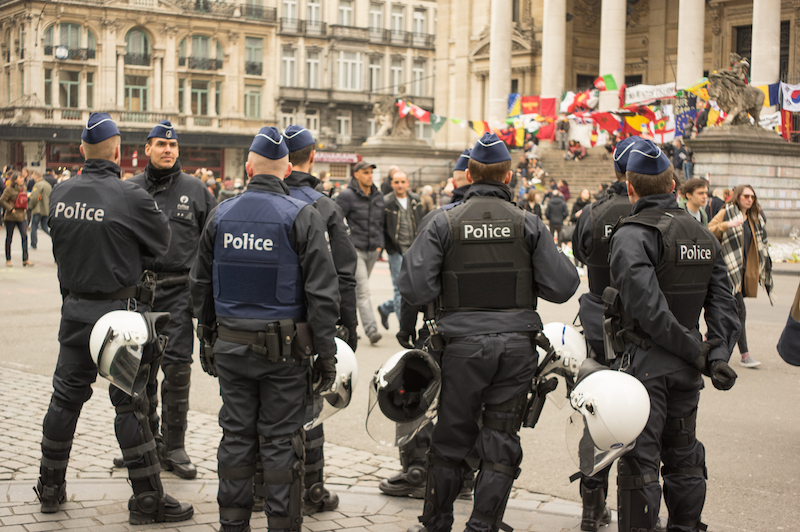 Belgium’s “linguistic wars” have rarely degenerated into violence. The country has remained stable during the prolonged negotiations that often precede the formation of new governments. Belgium has evolved from a unitary state to a highly decentralized federal state, while preserving sufficient consensus to maintain social peace. Following the Brussels attacks, many Belgians sympathized with the call by Jean-Claude Juncker, the European Commission President, for a European “security union”. Yet kneejerk calls for “more Europe” do not necessarily produce results in the 28-member European Union. The EU lacks legal powers in the fields of intelligence and security, which are essentially the preserve of national authorities. In fighting terrorism, Belgian intelligence services need to cooperate with the CIA and Mossad as much as with the DGSE in France or the BND in Germany. Where “Europe” has acquired real responsibilities like the Schengen Information System, Europol, or the “European arrest warrant,” these areas should be reinforced and used to the fullest extent possible. Belgium cannot prevent terrorism through an “escape into Europe”. But it can achieve much by improving coordination between the federal, regional and local levels and by renegotiating their respective responsibilities. Nineteen separate municipalities and six separate police forces are too many for a capital region of just over 1 million inhabitants. Despite linguistic sensitivities, the municipalities should accept greater coordination at regional and federal levels while local authorities should be informed of investigations underway and of the identity of inhabitants who have returned from Syria or Iraq. Recently a trilingual citizens’ petition demanded that a single metropolitan police force be set up, giving further proof of the vibrancy of the city’s civil society. For half a century, Belgium has made a major contribution to European security through NATO and the EU. Instead of maligning the country, other Europeans should work with Belgium to overcome the EU’s mutually reinforcing crises and to ensure the survival of its major accomplishments, including the Schengen open internal borders system and the single European currency, the Euro. I doubt very much people will believe the words of a proven EU fanatic over the images they see every day. Hopefully the Dutch will put another nail in the pointless EU’s coffin tomorrow. 1) We do not end up like Greece. 2) We do not end up being shafted by the ruling Franco German axis. 3) We can start to get rid of foreign terrorists and criminals, who currently get more protection than those of us who pay for all the EU nonsense.